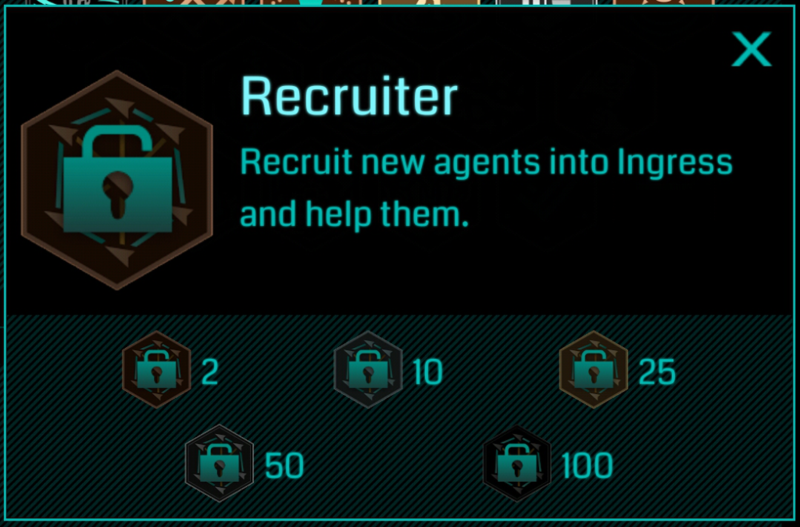 Don’t like the the new recruiter badge? Have your say! 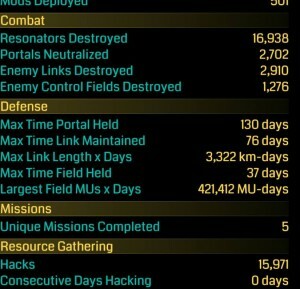 This stat appeared very briefly in Ingress this morning. But as quickly as it came (and a new badge along with it), it vanished again. The badge (recruiter) has managed to stay (for the moment), but the consecutive hacks has gone. Or has it? I’m guessing the stat will remain behind the scenes, so if you’re at least able to, make sure to hack everyday! But what does look like it’s here to stay, is the new Recruiter Badge. This appeared a short time later. Apparently old recruits don’t count. When this arrived I found that I still only had 2 recruit invites. Even after checking it again some time later. But if you go to the “recruits” tab and select “invite” (which brings up your email list) and then exit, you will receive a new complement of invites to share amongst your friends.